Tales From Odessa, this year’s bold musical production at the Dora Wasserman Yiddish Theatre, is a winner when it comes to the updated, Romanian-inflected Klezmer and dances that surround the story. The story itself, written by American playwright Derek Goldman and based on the works of Russian-Jewish writer Isaac Babel, is a somewhat convoluted tale of gangster Ben Zion Krik and his rise to become Benya, king of the Odessa gangsters. That role is played and sung with aplomb by Gab Desmond, surrounded by a well-directed cast of 32, who dance and move around the stage so it never feels crowded. Kudos also to costume designer Monika Herédi for judicious selection of credible period clothes. The story, set in a cleverly re-created village square, is told through a series of flashbacks, as Reb Arye Leb (David Flicker) sets out to tell it to a young lad (Benny Winkelman-Batchelor) as they chat in a cemetery. It does help to read the synopsis beforehand, but even then the tale of how the gangster becomes king by providing for the mother of an unintended victim and later foiling a planned pogrom drowns in the detail. Part of the story is told by the imaginative use of shadow puppets that reflect and advance the narrative. They are seen on a screen as the action continues on stage. The cast is uniformly solid, and apart from the strong stage presence of lead actor Desmond, standouts include veteran Mark Bassel with his rich caricature of the gangster Tartakovsky, Leslie Bronstein as the grieving Pesye, Bronna Levy as Benya’s sister Dvoira, and young Jordana Singer, who seems headed for bigger roles with her strong voice and confident acting. Most memorable, however, is the music—the 15 songs by Josh (So Called) Dolgin, including the powerful Even God Makes Mistakes. It is played by a seven-piece band led by co-arranger/clarinetist Michael Winograd. The magnificent overture with its haunting harmonies was created by Fred Wesley, the American jazz and funk trombonist and frequent co-collaborator with Dolgin. Credit goes out to musical director Nick Burgess for pulling it all together. Dolgin, who pioneered hip hop-hop/fusion, shows once again he has the stuff of greatness—a transplanted Montreal original whose talent and output seem limitless. He can add this suite of songs to his crown jewels. Even with the synopsis and supra-titles in English and French, one is tempted to stop trying to figure out the story and just soak up the music and on-stage dynamics. It makes for an entertaining 75 minutes, no intermission. 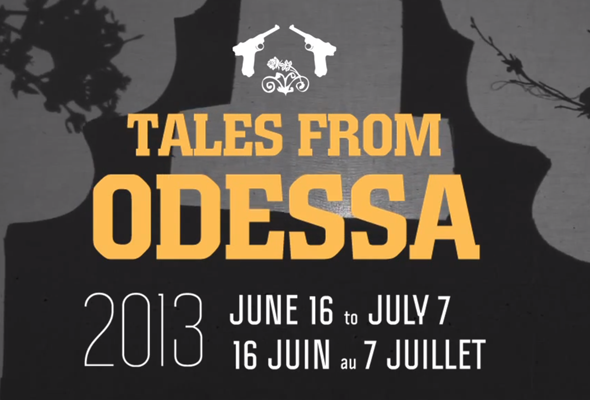 Tales from Odessa runs until July 7 at the Segal Centre, 5170 Côte Ste. Catherine Rd. Tickets range from $24-$46. 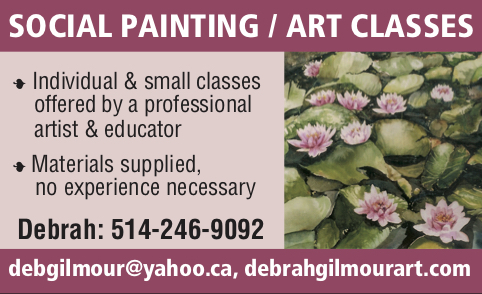 Call 514-739-7944. CORRECTION: An earlier version of this story incorrectly identified the actor playing Reb Arye Leyb. The part is played by David Flicker. The Senior Times regrets the error. Be the first to comment on "Theatre review: Tales From Odessa"